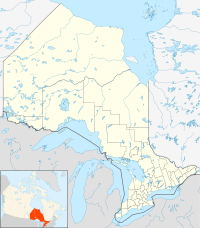 Roslin is an unincorporated community in Ontario, Canada. Roslin was the birthplace of C. F. Hamilton, first liaison and intelligence officer for the Royal Canadian Mounted Police. ^ Kinsman, Gary William; Buse, Dieter K.; Steedman, Mercedes (2000-10-30). Whose National Security? : Canadian State Surveillance and the Creation of Enemies. Between The Lines. pp. 23–. ISBN 9781896357256. Retrieved 20 December 2012. This page was last edited on 13 October 2016, at 06:20 (UTC).